Our friend Kimo Nevius will be performing on Saturday April 20th from 2-4pm at the Wailuku Coffee Company at 26 N. Market St in Wailuku. 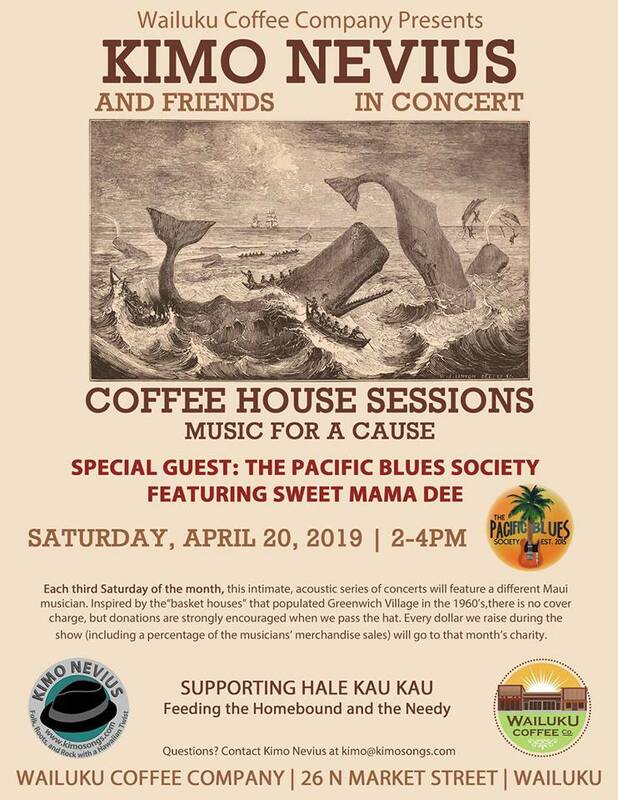 Wailuku Coffeee Company will donate all the proceeds from Kimo’s performance to Hale Kau Kau. Special guest: Pacifc Blues Society featuring Sweet Mama Dee. Here's the event on Facebook.